What's to Love: We simply can't get enough of the mixed-media world of Gumball and his family and friends, so we've assembled some of comics' finest creators and talented up-and-comers to dive into Gumball's universe and create their unique spins on the characters. 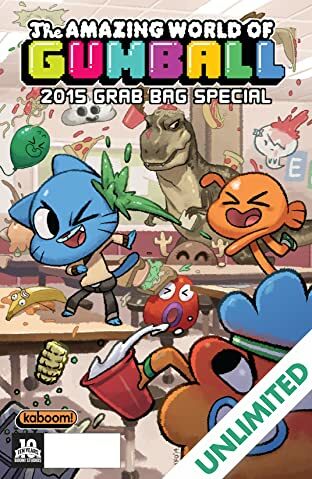 The result is 28 pages of fun and wacky mini-adventures, inside jokes, and interactive features that are sure to please any Gumball fan! What It Is: Get ready for a Gumball bonanza in this oversized collection of shorts, in-world ads, and activity pages. 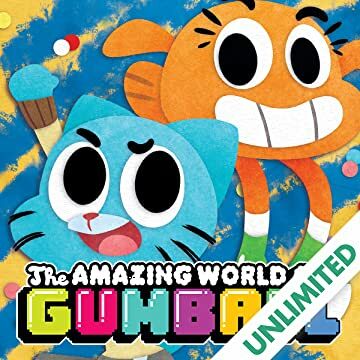 Gumball and Darwin try to get their trading card collection completed, and get trapped by a collector who collects...collectors? Mr. Watterson falls into the dryer and finds himself in a magical laundry kingdom. Catch a glimpse of Tina Rex's quiet moments. Journey to the haunted outskirts of the town of Elmore. Enjoy these stories and more by some of the industry's finest new and established creators!